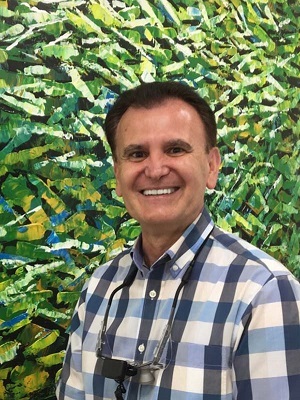 Dr. Carmine Mignone is the owner and operator of Campbelltown Dental and has over 35 years of dental experience and is fluent in Italian. Nikki graduated with an Advance Diploma in Oral Hygiene in 2015. She has been involved in the Dentistry industry for over 10 years in various countries. Olivia completed her Certificate III in Dental Assisting and has been working in the Dental industry for over 12 years and can converse fluently in Italian. Fiona has been involved in the Dental industry for 30 years as a Dental Assistant, starting out in Orthodontics, progressing onto Periodontics, Prosthodontics and now General Practice. Melissa completed her Certificate III in Dental Assisting and started her career in the field of Orthodontics and now General Practice. Melissa has worked in the Dental industry for 7 years. Campbelltown Dental has been operating for over 35 years. The practice is locally owned by Dr. Carmine Mignone, who graduated from a Bachelor of Dental Science at Adelaide University in 1978 and is a member of the Australian Dental Association.